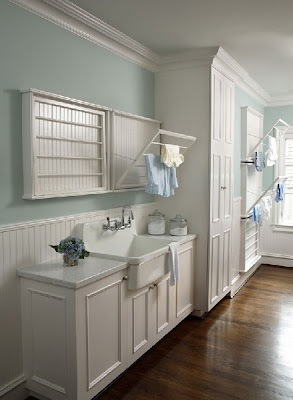 You know you are getting old/growing up when you have a dream laundry room. But this laundry room makes my heart beat faster. that's very nice! saves space and energy! I LOVE this. Because I don't have a laundry room. I share a basement full of public coin washers/dryers. this picture represents my life dream, and it's green! oh i really like this room! it would for sure make me want to do laundry!